While other parts of your home could be private, the hallway remains, sort of, public property since it’s open to anyone who visits your house. This means that the state of your hallway determines the impression that people will have of you. Creating an elegant hallway design is therefore a necessity. For many years, interior designers have always emphasized on the importance of custom marble floor borders in hallways. But why marble floor borders? Well, there are numerous reasons why you should use this type of floor border in your hallway. 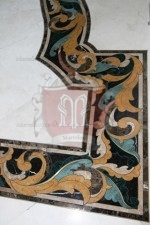 For starters, a custom marble floor border will definitely stand the test of time. While other floor border materials are susceptible to heavy traffic, marble floors can last for hundreds of years. It is therefore economical on the side of the homeowner because they won’t be forced to replace their floor every now and then. Given the number of people likely to use your hallway on a given day, it is imperative and indeed prudent to design a floor that can withstand excess pressure. Marble stone offers natural beauty that will last through the ages- qualities that you can’t find anywhere else, not even in the most expensive porcelain tiles. 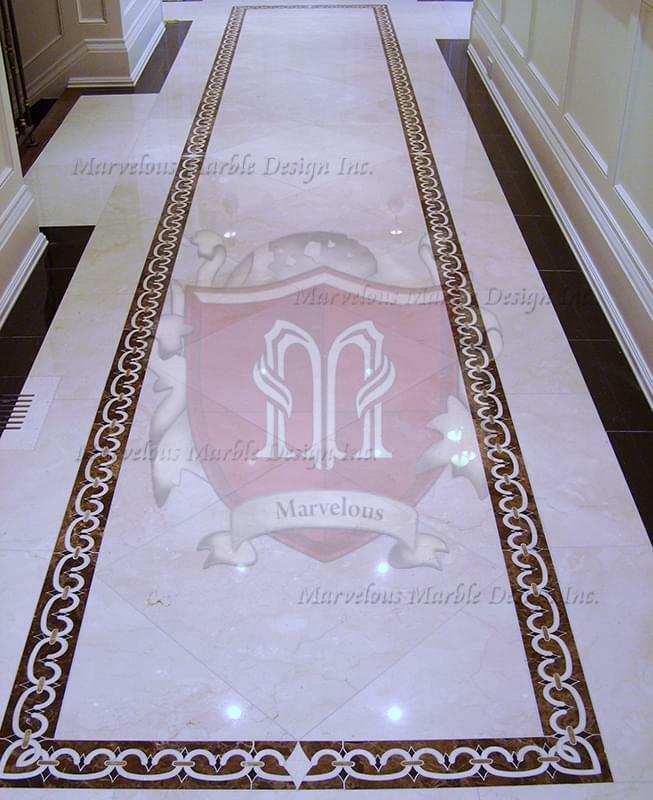 Marble floor borders can be customized to suit different interior designs. Because they come in all manner of colors, designs, patterns, and shapes, it’s quite easy to create a personalized floor border that will go with existing décor elements. They also come in handy when you are renovating your house because you only need to choose designs and colors that match the walls, doors and the ceiling. 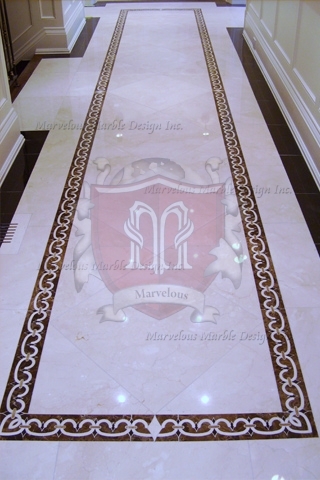 Undoubtedly, marble floor borders are elegant, timeless, and unique. A simple makeover of the hallway with these borders will transform the overall ambience of your house, adding a stylish and classic look. These stones have been associated with prestigious places such as palaces, temples, churches and mosques. Other types of concrete floor borders require paint, but marble floor borders come with their natural colors that last for ages. Furthermore, marbles are very shiny and do not require specialized cleaning techniques. You just need a soft mop and water or wax to keep your floor looking sparkling clean. It is also worthwhile to note that marble floors are highly resistant to bacteria and other harmful allergens.